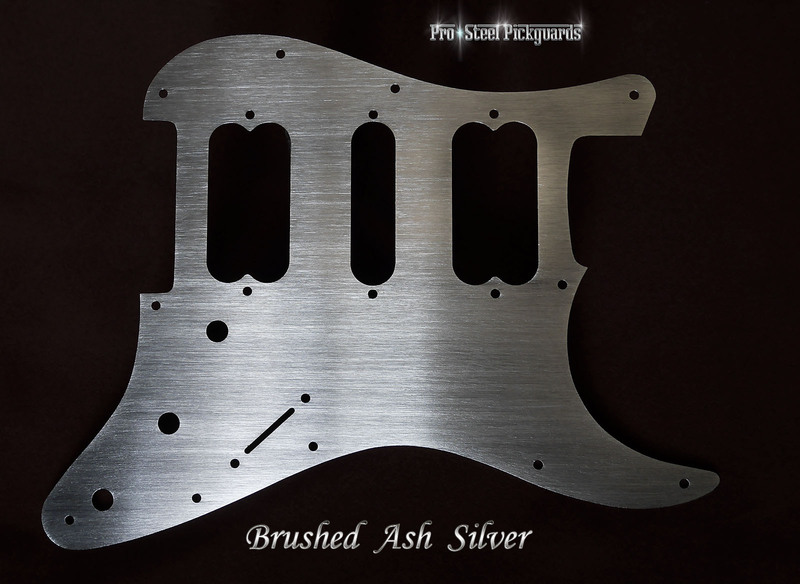 OUT OF STOCK - A larger selection of Ash Silver guards will be cut very soon. Please check back in 1 week. * If you need a hole for a Strat Mini Toggle Switch let me know. I can do this free of charge. Squier Strats etc. Will fit Squiers, with maybe 1 or 2 screw holes a little off centre. That's usually no problem, the screws supplied will easily find a hole. For our Fender Strat guard template, see our 'Downloads'page.